No that is the standard CDC common expiry date. 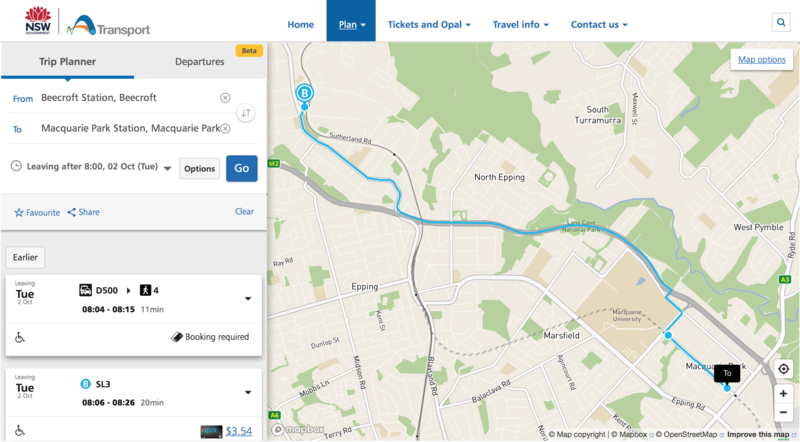 Note the recommendation for Beecroft to Mac Park is to use the On Demand service instead! 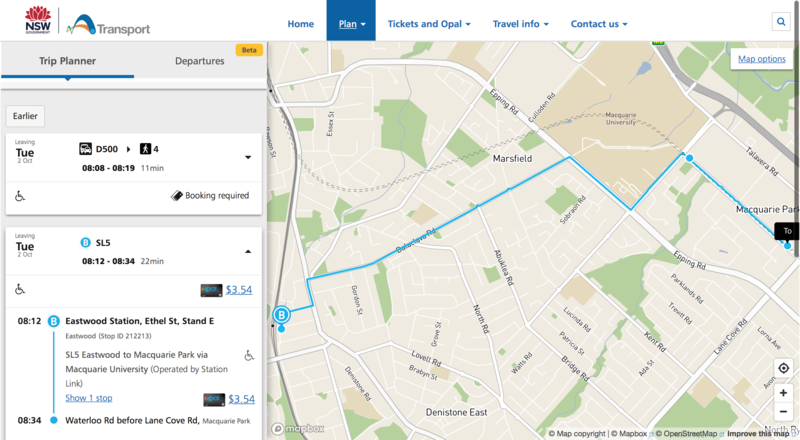 SL7 - timetabled to only be 3 minutes slower than the train is, but faster if you consider getting from the platform to the middle of campus. I actually quite like the campaign. The videos are very informative. I see they are trying to use the star power of Lee Lin Chin to bring awareness to the campaign. Theres a bunch of ad's at Macquarie Uni station about how this station will close on 30th September, Sydney Metro is coming. It looks hopeful. 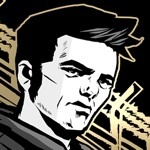 Feels strange for something that feels so recent is already getting shut down and changed, but heres to new times! 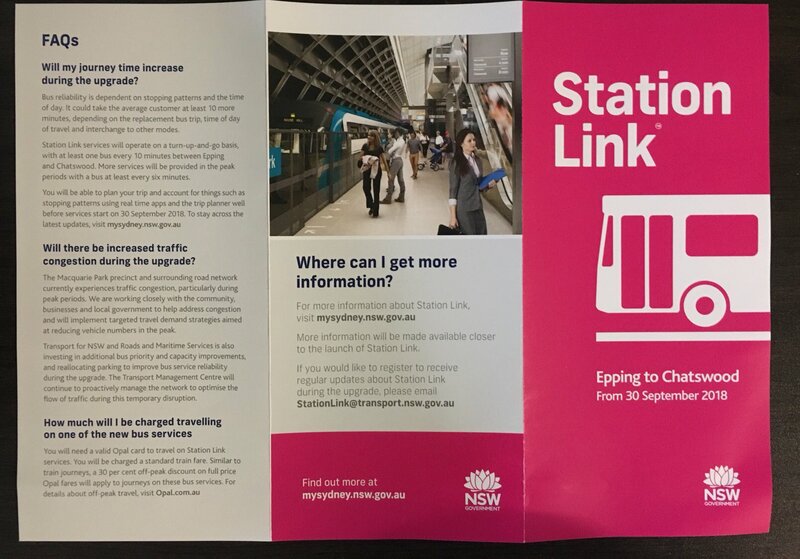 The routes and frequency of stationlink will be an interesting test of the accuracy of the opal data on passenger movements. They do seem to be throwing a lot of buses at weekday peak hour services, but there appears to be a massive reduction on weekends, especially before 10 am. There are still a fair number of people who have classes at Mac uni on a Saturday or work at Mac Centre or north Ryde. Interestingly, there also appears not (yet) to be promotion of the best routes to take for certain travelling scenarios. 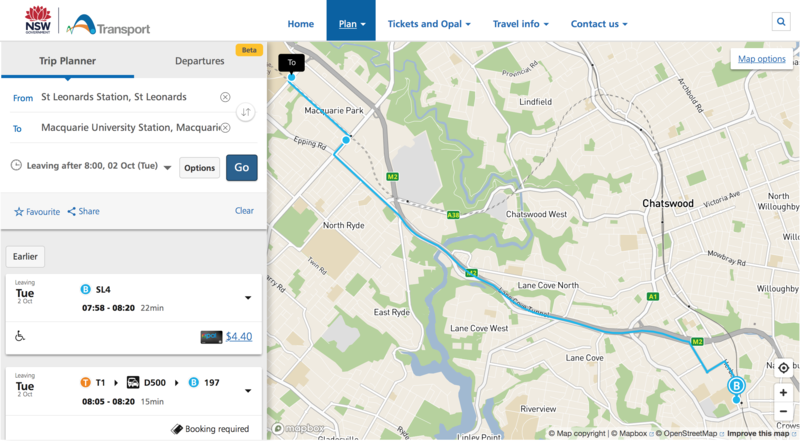 Based on frequency and route, SL3 or 4 to St Leonards appears to be much better options than going to Chatswood for anyone wanting to go into the city. Engineering wrote: Interestingly, there also appears not (yet) to be promotion of the best routes to take for certain travelling scenarios. 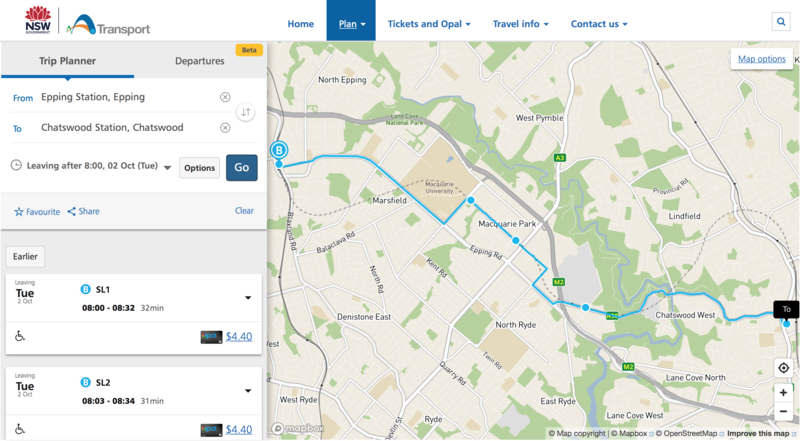 Based on frequency and route, SL3 or 4 to St Leonards appears to be much better options than going to Chatswood for anyone wanting to go into the city. 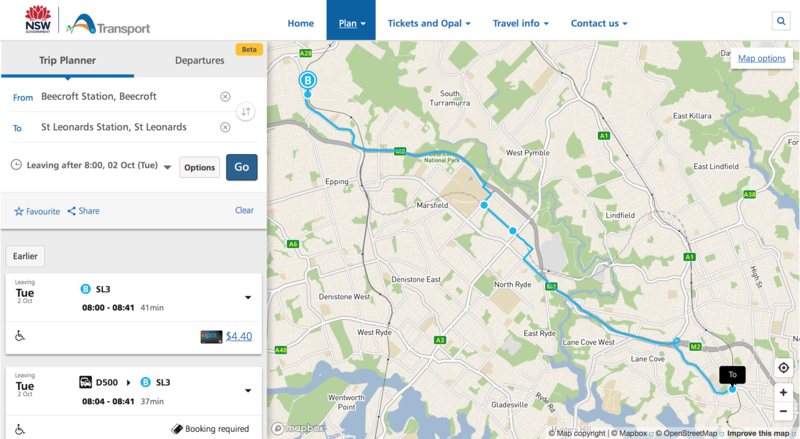 As it probably should have been for the original rail route, rather than the circuitous route it now takes via Chatswood. 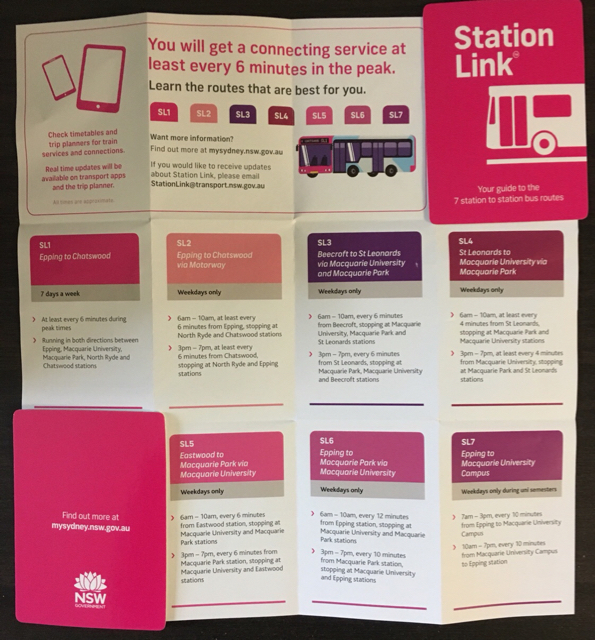 Additional services will also be available on the T1 North Shore Line between the City and stations north of Chatswood during peak times with around 40 trains per hour from Central. How is it even possible to get 40tph? I thought max capacity of the North Shore line is 20tph. Typo. It was meant to read "passengers interchanging at Central for city stations have 40 trains per hour on Central platforms 16 and 17". A friend who works for Optus at Macquarie Park has told me staff have been encouraged to work from home or come in early/late during the rail shutdown. Optus is also offering discounted parking to employees who carpool. Has anyone had the opportunity to inspect the site at Camellia where buses for SL are being provided? 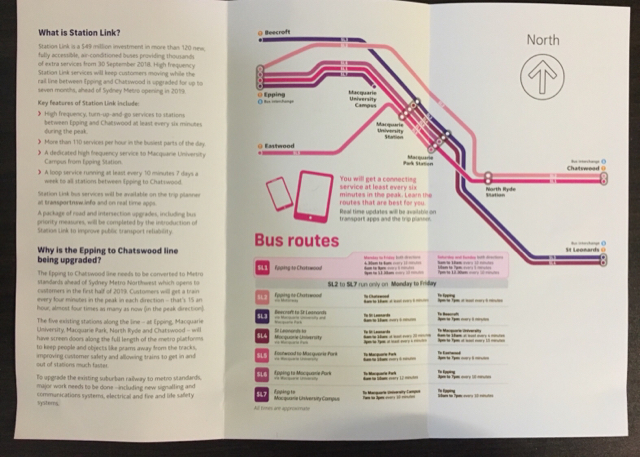 Will drivers change of 'shift' require buses to return to Camellia 'Not In Service"? Are staff facilities being provided within the Macquarie precincts? 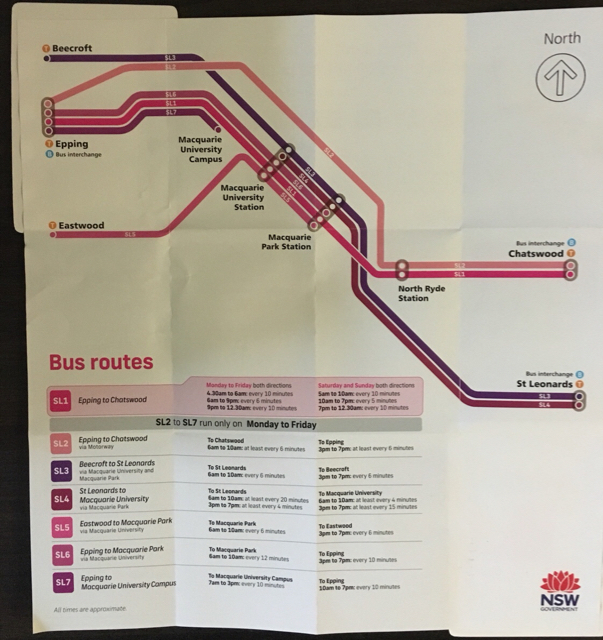 I note that Route SL1 Is the only one that will service Macquarie Park and Macquarie University Stations from Chatswood - will the service be adequate? And here’s a sneak peak at one of your new buses outside Chatswood. There have been plenty around Chatswood the last few weeks. There is also plenty of pink signage on Chatswood station. I must admit I originally thought the whole blue section would be pink not just the front and back. Less to repaint/peel off in 7 months when their job is done. ed24 wrote: There have been plenty around Chatswood the last few weeks. There is also plenty of pink signage on Chatswood station. and around Parramatta and Rosehill doing driver training. mandonov wrote: Less to repaint/peel off in 7 months when their job is done. They are applying pink vinyl wrap to the vehicles. They seem to have been delivered in normal TfNSW livery. They were doing so the other day at Kingsgrove depot. I assume the Transdev one and not the Transit Systems depot. Correct ....sighted one day last week, with several others lined up, presumably waiting to be done. I wasn't close enough to ascertain whether they were new units or ones already in service.